Struggling with your office I.T.? You got into business to do what you love, not hassle with networks and failing PCs. Stop letting I.T. make you frustrated and overwhelmed. Is your data safe? Most businesses don't know if they are secure or not. A data breach is always very expensive. Is your network not working for you? The fix could be simple. Let us show you. How old is that server you've got in the closet? Upgrading isn't as expensive as you think. "Our server installation had been pushed out 4 months. I went from feeling overwhelmed and out of control about the server to relieved and confident about the whole situation. Herrod Tech guided us through that tough time and now supports us day to day." "We're a multi-location operation, and from the start I knew Herrod Tech was more than qualified to meet our needs. 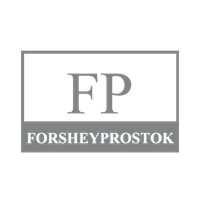 They have resolved small and very big concerns leaving me feeling secure and confident." 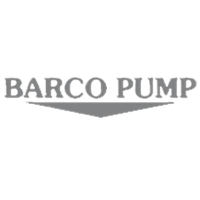 BJ Allen, President, Barco Pump Co.
Are you a multi-location company? Have more than 100 desks? Click here to schedule a call with Kelly. Employees report being happier and getting more work completed when they're not wrestling with I.T. issues. You may not even understand how much downtime is costing you. Gain resources by outsourcing. Rest assured that your data and your customer's data is safe with Herrod Tech. Feel confident and secure again. Business Leaders and Office Managers don't go to work thinking about I.T. We want to keep it that way. We believe that I.T. should just work, so that you can be successful at business. Here are few industries that we proudly serve. We can have a quick call and discuss whether or not we're a good fit. These sessions are onsite and take less than an hour. You'll receive a detailed report. Turning over I.T. to Herrod Tech will solve your I.T. problems. We're on it! Copywright 2019 Herrod Technology, Inc.